This sweet little boy is baby number five born to a household of four other boys! Can we say #boymom?! I have had the pleasure of photographing this wonderful family over the past few years, including one of his older brother's newborn sessions and a few family sessions along the way! This time around, Myer's parents decided to make the most of the quietness of the studio and allow this session to be 100% focused on only Myer. They were able to relax on the couch in the lounge area and enjoy the stillness of the space while I started with his individual portraits and once those were complete, we finished up with a series of portraits with his parents loving all over him! Here are a few of my favorite pictures from our time together! Are you expecting and ready to book your newborn session? I am currently booking sessions as far out as late summer 2018. 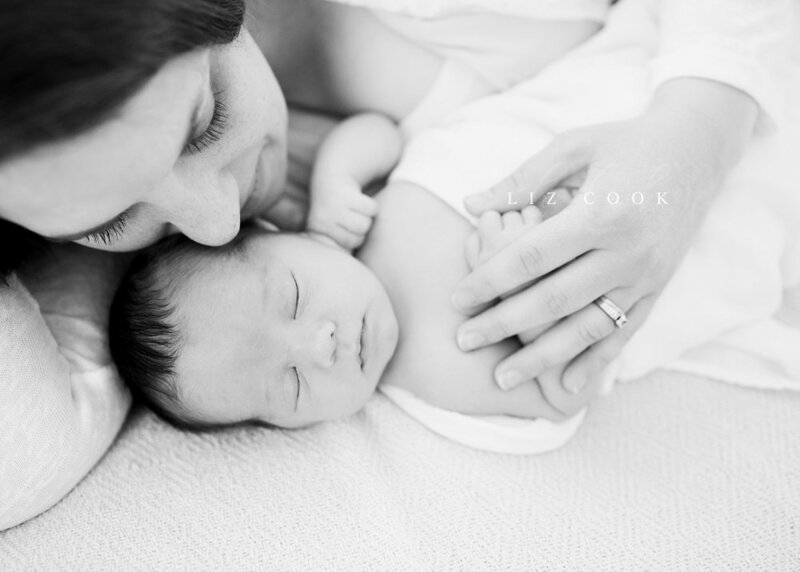 Newborn sessions are best scheduled before your baby has arrived. If you have waited until the last minute, please contact me - if I am able to fit you in, I will! I don't want you to miss out on the opportunity to have this short and sweet season of life documented. All newborn sessions include the use of the studio wardrobe, a styling consultation to discuss the look and feel you desire for your session, as well as my exclusive client preparation guide. On site hair and make-up services are also available with our stylist so that you feel relaxed, confident and beautiful at your session. I make the process of preparing for your session simple and seamless, so you can focus on your first priority, taking care of your newborn baby. Contact me today to reserve your session. 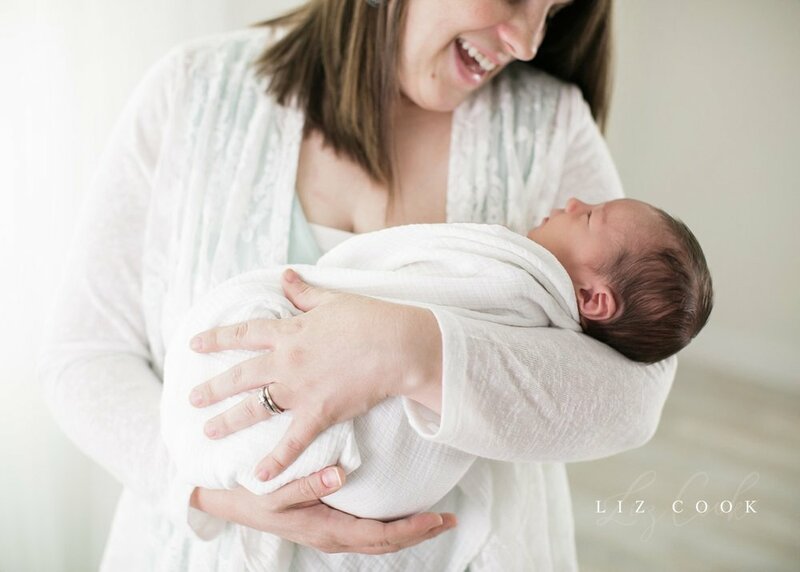 Liz Cook is a baby, family and wedding photographer in Central Virginia. She loves to photograph emotional and discreet birth stories, the details of parenthood, and fun and easygoing couples in love.